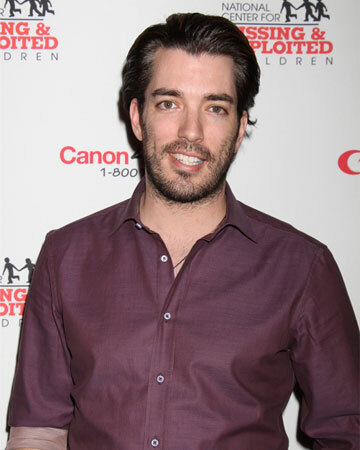 HGTV star Jonathan Scott hosts Christmas for his family every year. This season, Scott sat down with SheKnows to dish on all things holiday decor. Find out why this decorating guru has us heading to Ikea for stylish decor for the holidays. During the Christmas season, Property Brothers star Jonathan Scott transforms his Las Vegas home into a holiday wonderland to host his entire family. "For me, Christmas is all about family," says Scott. "So when I stage the home for the holidays, I want it to feel cozy and comfortable, and basically I want to make my place the home-away-from-home for everyone who couldn't get to their house." Scott leans toward warm tones and traditional red and green decor for Christmas. He uses garland to accent the home and decorates a large tree with a mix of stylish ornaments and childhood ornaments. According to Scott, even condo owners and renters can add touches of holiday decor in the home by creating thoughtful accents with garland, rugs and accent pieces. "And it doesn't have to be tacky, cheesy holiday," Scott says. "It can be very elegant, very formal, but just enough to give that flavor of Christmas." Where does Scott recommend picking up holiday decor? "Surprisingly, Ikea has a phenomenal selection of every different style you can think of, and very cost effective," he says. Ready to decorate your home like an HGTV star? We've put together 25 smart reasons to shop at Ikea for holiday decor, so you can deck the halls for less this Christmas. This lantern for block candles looks good all year round (Ikea, $15). 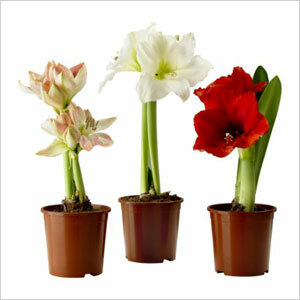 Adorn your holiday table with a budget-friendly potted plant (Ikea, $10). An advent calendar looks festive and helps you count down the days to Christmas (Ikea, $10). Tired of the same boring angels? Try a straw goat this holiday season (Ikea, $10). 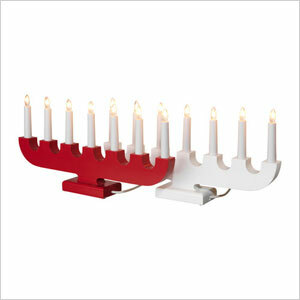 Update your existing candleholders with vivid red candles (Ikea, $6). Add touches of Christmas cheer to mantels and doorways with artificial garland (Ikea, $8). 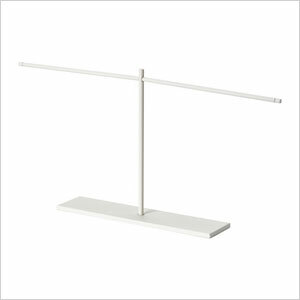 Make every ornament shine with a modern decoration stand (Ikea, $3). Want to take the guesswork out of ornaments? 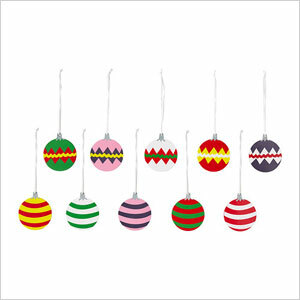 Try a 36-piece ornament set (Ikea, $17). Add a budget-friendly star topper to your tree, or use them everywhere (Ikea, $2). Add paper apples to your table and mantel vignettes (Ikea, $6). Pick up an inexpensive artificial tree to add a flourish of holiday cheer to your home (Ikea, $40). Create a trendy white and metallic tree with pretty white ornaments (Ikea, $10). Living in a small apartment? Try a gold or silver decorative tree you can fold away (Ikea, $15). 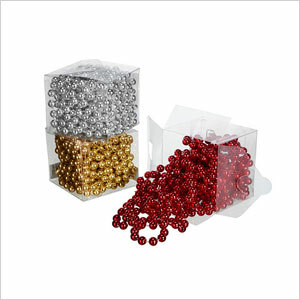 At this price you can really go to town with bead garland (Ikea, $2). 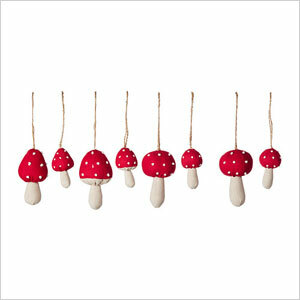 Give your tree quirky flair with a set of crafty mushroom ornaments (Ikea, $10). 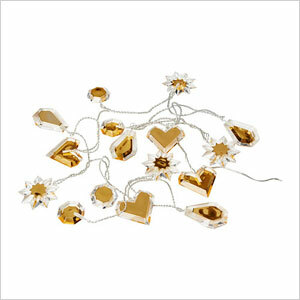 Get these glass heart ornaments out again on Valentine's Day (Ikea, $5). 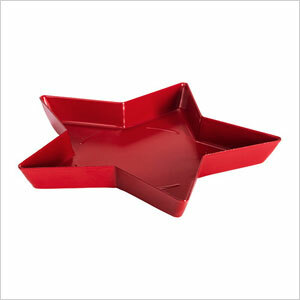 A simple red star candle dish lends modern style to your holiday table decor (Ikea, $1). These cardboard ornaments won't shatter in little fingers. Attach them to gifts (Ikea, $3). 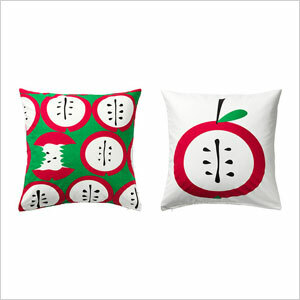 Update your cushions for Christmas with a quirky apple cushion cover (Ikea, $6). 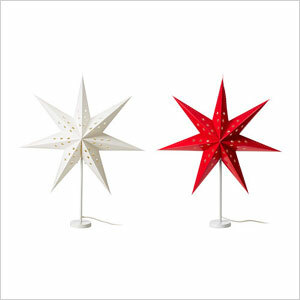 Cast a warm glow on your living room with a paper star lamp (Ikea, $13). These gold indoor bulb lights give your home unique appeal (Ikea, $15). Light up your home with an eco-friendly LED candelabra (Ikea, $20). 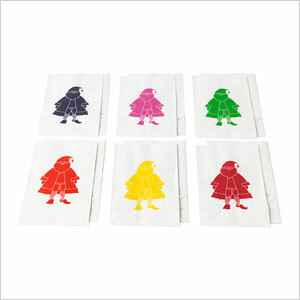 Tuck small holiday gifts into adorable paper gift bags (Ikea, $3). No tree? No problem. Hang this glow-in-the-dark wall decoration (Ikea, $13). Use these paper labels in your gift wrapping or hang them as decor (Ikea, $1).